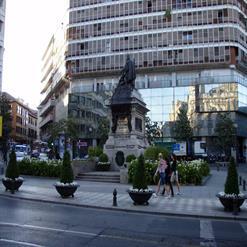 Paseo de los Tristes was once on the busiest gathering spots in Granada. It positioned along a curve of the river between the Alhambra and the Albayzin. Today, it is a popular place to eat owing to the restaurants lining the north side of the square and the magnificent views of the Alhambra palace it offers.